All new moms have plenty of worries about their baby. Every parent wants to make sure they are doing as well of a job as possible of caring for their baby. It can be easy to feel defeated or unsure of yourself if things are brand new to you. All you have to do is take each day one at a time and you'll become more confident. One thing you shouldn't have to worry about as a parent is your baby's comfort in their crib. Schlummersack wants to offer babies around the world the best night's sleep possible with their sleeping bags. Loose blankets can be unsafe in the crib and can cover your baby's face and interfere with breathing. Schlummersack provides sleeping bags in a variety of colors, designs, and sizes from birth up until 10 years old. You can choose from a sleeping bag with or without sleeves depending on your preference and what season it is. 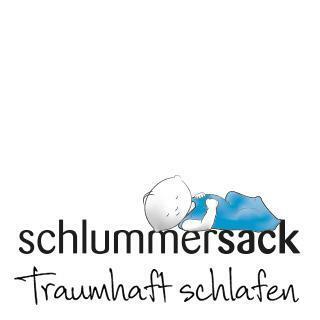 Babies around the world will go to sleep with a smile when they wear a Schlummersack sleeping bag to bed. Keep the brand in mind for baby shower or new mom gifts. Scarlett was fortunate enough to receive two sleeping bags both in size 12-36 months. Since she's a girly girl she chose the Winter Sleeping Bag with Sleeves in the Pink Fairy print and the All Year Sleeping Bag in the Pink Bird print. Both bags are made with 100% cotton and feature an adorable print for your little princess. We're definitely not strangers to sleeping bags in our house. Scarlett's been using them since she was born and doesn't go to sleep without them. I'm honestly not sure when I'll eventually transition to letting her use a blanket in her crib instead of a sleeping bag. The fear of the blanket covering her face or her not being able to breathe makes me so nervous. Until then, sleeping bags it is! The All Year Sleeping Bag is what we'll be using until the cooler weather comes in. This sleeping bag features a cute bird design with "little birdie" embroidered at the top. The pink is a soft pink and the colors of the birds are bright and vivid. There are no sleeves on this sack and it's perfect for the summer. Scarlett wore it to bed for the first time tonight and really seemed to enjoy it. It's comfortable and lightweight. Yes, it's big on her because it goes up to 36 months but that's okay because she'll be able to wear it for a long time without outgrowing it. I'm all for products that you get an extended period of use out of! I had no problems zipping Scarlett up into her sleeping bag. Since the weather is getting warmer here, she was in short-sleeved pajamas tonight. I know she won't be cold since her feet and body are covered in the sleeping bag. This will definitely be used all summer long. Throw it in the washing machine when it's time to wash it and you're good to go. We'll be using the Winter Sleeping Bag once it gets cooler because there's sleeves on it. I envision putting Scarlett in long sleeved pajamas and putting her in the sleeping bag to keep her toasty warm. I'm sure she'll sleep soundly and comfortably. Who can resist the cute embroidered fairy sprinkling fairy dust with the words "Make a Wish" on top either? Both sleeping bags are quality made and built to last. I know we'll get a lot of use out of each. If you're looking to keep your children warm and snuggly when they sleep, it's time to turn to Schlummersack. *DISCLOSURE* Thank you to Schlummersack for providing product samples in order to facilitate this post. All thoughts are strictly my own.